It's the lead single from Shad's fifth album, A Short Story About A War. The song starts off heavy with a spoken-word interlude — "They see people run, so they run/ They see people duck, so they duck/ But these bullets aren't real, wanna feel?" — before leading into an upbeat blend of frenetic piano, synths and drums; the sunny production complementing Shad's lyrics about perseverance and positivity. "Talking about ways we can elevate/ Stepping upstairs and we escalate/ Don't try to separate, we'll get together and celebrate," he raps. Shad describes the song as being "about joy and a kind of radical peace," via email. The album, titled A Short Story About A War, is about "a world at war, where snipers exist in the upper echelons, where factions of revolutionaries and establishment and stone-throwers clash, and where a fearless, foolish person who doesn't believe in the power of bullets traverses the landscape," according to a press release. It will feature collaborations from the likes of Kaytranada, 200lman of A Tribe Called Red, Lido Pimienta, Yukon Blonde and more, and will be released Oct. 28. 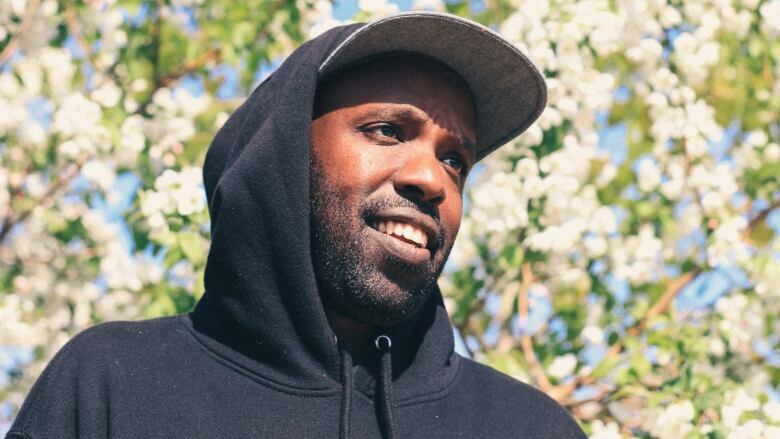 Shad is a Juno-Award-winning rapper from London, Ont., the host of the Emmy- and Peabody Award-winning documentary Hip-Hop Evolution, and a former host of q. For more about the album, click here.